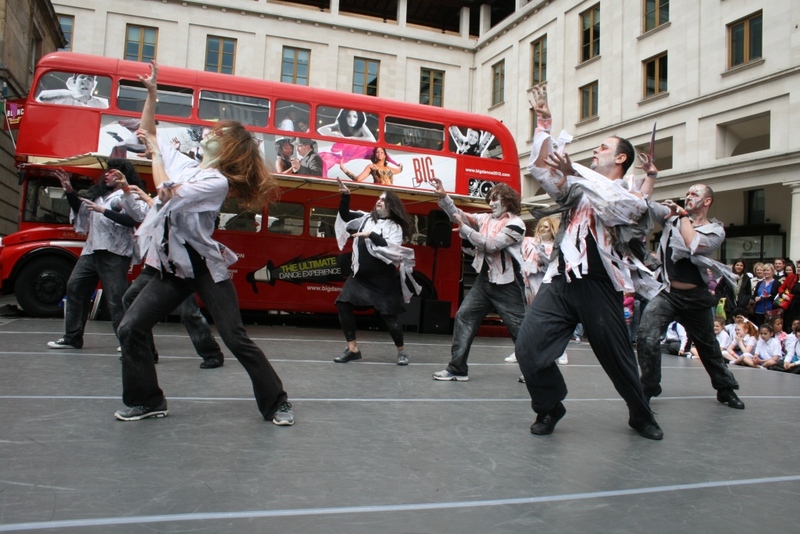 As part of Big Dance Week, the famous London double-decker Big Dance Bus will be rolling into the Covent Garden Piazza on Tuesday 8th July. The bus includes a bespoke dance floor, sound system and MC, as well as boasting its own resident dance company! This year, the bus has been brought to Covent Garden by Jubilee Hall Trust, with support from WestminsterPublic Health, to promote dance as a fun physical activity for everyone! There will be displays of dance from 12 midday to 7pm, featuring 30 different groups including local schools and community organisations as well as professional dancers. There are opportunties throughout the day to join in a range of workshops including Les Mills Sh’Bam, Hula Hoop and Zumba. Just to prove that anyone can do it (!! ), the Jubilee Hall Trust managers will attempt to perform a dance at 2.15pm, so don’t miss the opportunity to cheer them on!